We hold two volunteer lunches per year to show appreciation to our volunteers, and hold regular meetings to listen to their ideas and plan for the long term future of the Centre. 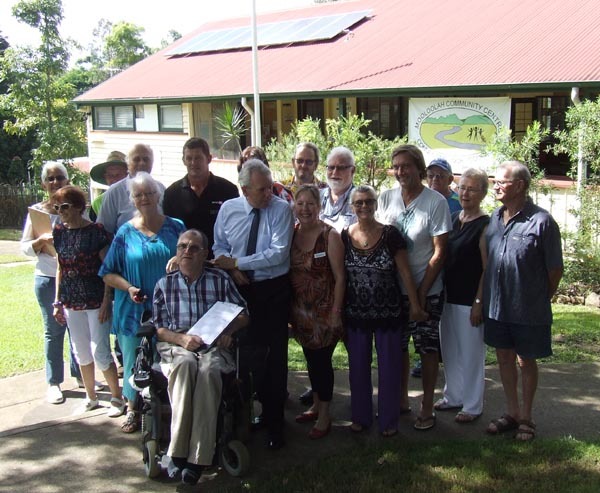 A special Volunteer Christmas Party is held annually in December at a Sunshine Coast venue. Everyone’s opinions are very important to the organisation and we take on board all suggestions. The volunteers at our Centre form lasting friendships and social networks with other groups and residents. Volunteering can assist in alleviating social isolation & loneliness, especially for older residents. We encourage fun and laughter. The skillset of each Volunteer is appreciated and utilised, making people feel appreciated and valued as members of their community. MVCC welcomes all people dropping in for a cuppa and a chat under the large old tree in the Centre garden during business hours. If you think you would like to volunteer at the Mooloolah Community Centre, please call in and pick up a Volunteer Form. The Centre co-ordinators look at all applications, and if there's a task that suits your offer, talent or skill set, you will be encouraged to join our happy team.